Analysis: After being waived by the Buccaneers a week ago, Sims is now looking to catch on with the Texans. With D'Onta Foreman (Achilles) confined to the PUP list for the first six games of the regular season, Houston lacks reliable running back depth behind starter Lamar Miller and change-of-pace back Alfred Blue. It's conceivable that Sims, who logged 110 receptions over the last three seasons, could earn a depth role due to his pass-catching abilities. 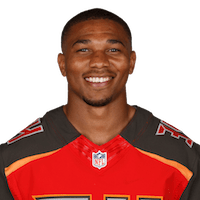 Analysis: With Sims no longer in the mix, the Bucs' 2018 backfield will be headed by Peyton Barber, Jacquizz Rodgers and Ronald Jones. Once Sims is healthy, he'll be free to catch on with another team, and in the right context it's conceivable that the 27-year-old could re-surface on the PPR radar. Analysis: Although his injury isn't believed to be serious, Sims never figured to practice Monday after he got hurt in Saturday's preseason game agains the Titans. Some missed practice time wouldn't normally be a big deal for a player with his level of experience, except that Sims is trying to fend off competition from Jacquizz Rodgers and Shaun Wilson to earn a role on passing downs. The three players are competing for either one or two roster spots. Analysis: Sims can help out in the Bucs' passing game to the point that he can make a ripple in PPR formats, but Peyton Barber and Ronald Jones II are ahead of him on the team's RB depth chart, a reality reflected by the trio's current ADPs. Sims still needs to fend off Jacquizz Rodgers and Shaun Wilson to lock down a role on passing downs. Sims suffered a left knee injury Saturday at Tennessee and won't return to the game, Jenna Laine of ESPN.com reports. Analysis: Sims was nicked up on the opening kickoff, which could hurt his standing in the backfield with roster cuts due in exactly two weeks. At the moment, Peyton Barber is fending off rookie Ronald Jones II for the starting gig, and Sims' injury should open the door for Jacquizz Rodgers to make an impact on offense Saturday and perhaps beyond. Sims will need to compete for a roster spot, ESPN.com's Jenna Laine reports. Sims signed a one-year deal with Tampa Bay on Thursday, Adam Caplan of SiriusXM Radio reports. 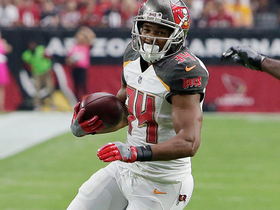 Analysis: Sims played in all 16 games for the Bucs last season, collecting more receptions (35) than carries (21). He'll likely remain limited to passing downs, though the 27-year-old did begin to see work on special teams in the back half of last year. Sims will have to compete with Peyton Barber and Jacquizz Rodgers for offensive snaps, and likely will face additional competition after the upcoming draft. Sims remains unsigned following the first two weeks of free agency, Greg Auman of the Tampa Bay Times reports. 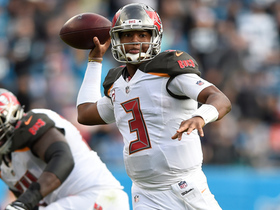 Sims, who will become an unrestricted free agent March 14, would likely remain in a change-of-pace role next season if retained by the Buccaneers, Jenna Laine of ESPN.com reports. Sims rushed once for six yards, failed to bring in his only target and netted 19 yards on his sole kickoff return in Sunday's 31-24 win over the Saints. 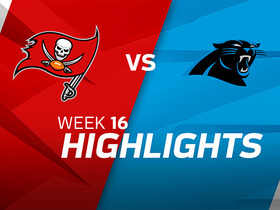 Sims did not net any yardage on his sole carry, brought in his only target for 19 yards and gained 13 yards on his one kickoff return in Sunday's 22-19 loss to the Panthers. Analysis: Sims saw a solid 24 snaps on offense, but he garnered just a pair of touches after he'd logged no less than four in any of the previous six contests. The fourth-year back's primary value has come from his work in the passing game, which should continue to be the case in the Week 17 finale versus the Saints. Sims brought in all four of his targets for six yards in Monday night's 24-21 loss to the Falcons. Sims rushed three times for 16 yards and brought in two of three targets for 11 yards in Sunday's 24-21 loss to the Lions. Analysis: Sims mirrored his Week 13 rushing line while also posting at least two catches for the sixth straight game. The four-year pro has yet to see more than three carries in any game this season, so his primary fantasy value is essentially limited to deep PPR formats. He'll look to exploit a Falcons defense that's been vulnerable to pass-catching backs in a Week 15 divisional battle. Sims rushed three times for 16 yards and brought in both of his targets for 35 yards in Sunday's 26-20 overtime loss to the Packers. Analysis: With Doug Martin (concussion) sidelined, Sims played 19 snaps and was able to generate his best combined yardage total of the season. The pass-catching specialist's three carries equaled a season high as well, as Sims continues to have a minimal role in the ground game. Despite the slight uptick in involvement Sunday, Sims' touches are typically too modest for him to be of much fantasy utility outside of the deepest of PPR formats. Sims rushed once for three yards and brought in three of five targets for 26 yards in Sunday's 34-20 loss to the Falcons. 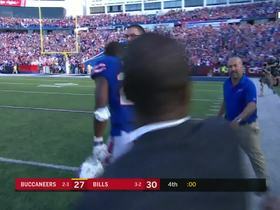 Analysis: Sims saw just one touch in the running game for the second straight game despite Doug Martin exiting the game early to be evaluated for a concussion. However, he was able to log a trio of catches for a third straight contest, keeping him modestly but consistently involved in the offense. 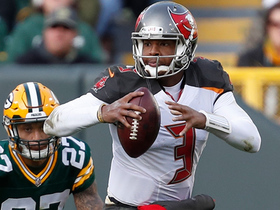 The 27-year-old could see a slight uptick in the ground game Week 13 versus the Packers if Martin remains sidelined, but it's clear his role in the Buccaneers offense is decidedly tipped towards the air attack. Sims rushed once for three yards and brought in three of five targets for 25 yards in Sunday's 30-20 win over the Dolphins. Analysis: Sims once again had a nearly non-existent role in the ground game, but he was able to post a trio of receptions for the second straight contest. The fourth-year back's fantasy production stems almost exclusively from his receiving role, limiting his fantasy viability to very deep PPR formats at present. Sims rushed three times for 20 yards and brought in three of four targets for 10 yards and a touchdown in Sunday's 15-10 win over the Jets. Sims secured both of his targets for 11 yards in Sunday's 30-10 loss to the Saints. Analysis: Sims logged 18 snaps, the same amount as starter Doug Martin. However, both backs were outpaced by Peyton Barber's 23 snaps, and Sims notably failed to see a carry for the second consecutive game and third time over the last four. The 27-year-old's fantasy stock continues to be depressed, as even his usual role in the passing game has been reduced thus far in 2017. 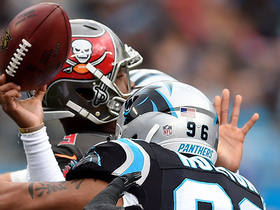 Wes Horton causes Jameis Winston sack and fumble, Panthers recover. 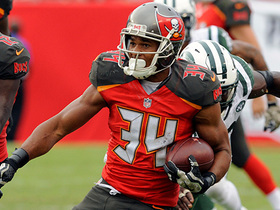 Buccaneers running back Charles Sims takes off for a 32-yard gain after a short pass from quarterback Jameis Winston. Tampa Bay Buccaneers quarterback Jameis Winston dumps off a screen pass to running back Charles Sims for 22 yards. 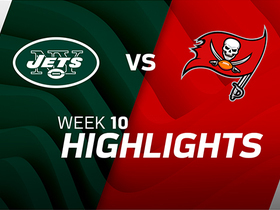 Watch highlights from the Week 10 game between the New York Jets and Tampa Bay Buccaneers. Tampa Bay Buccaneers offense try a multi-lateral final play but do not gain any yards and lose the game. Tampa Bay Buccaneers running back Charles Sims dashes for 25 yards on the quick pass from quarterback Ryan Fitzpatrick.